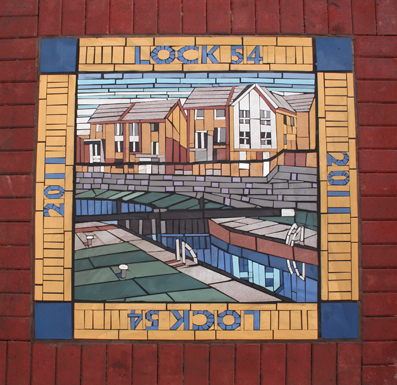 We were commissioned by Great Places Housing Association to create mosaic features for its award winning ‘Lock 54’ development of 150 homes in Blackburn. 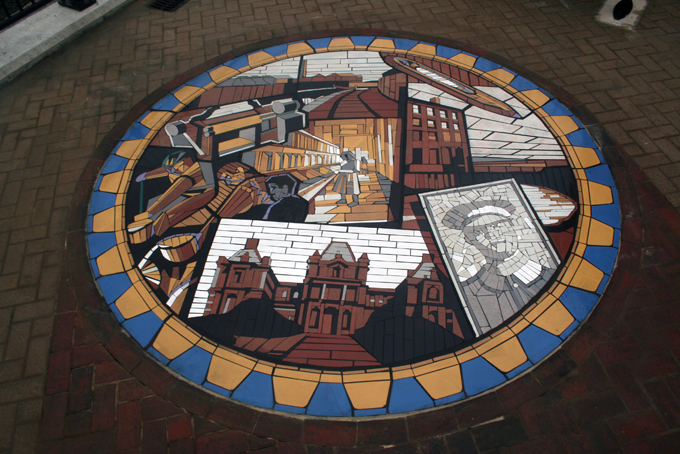 The main circular mosaic depicts the heritage of the site, formerly the Higherfield Mill, as well as other local landmarks such as the old Infirmary. 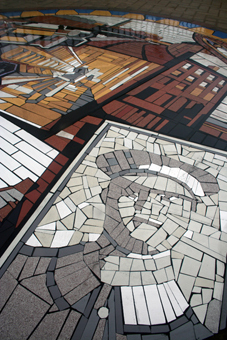 It also pays homage to local people and their skills in textiles and engineering. In particular Rifleman A. Balderstone, one of the many mill workers who joined the 8th Kings Royal Rifles in the First World War, and was like many killed in France aged 31 years of age. 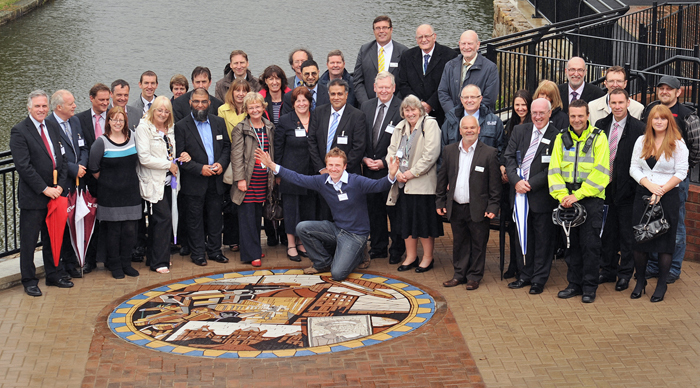 The mosaics were unveiled in July 2011 at the official launch event which was attended by local dignitaries & community members.